When you're a mother with a baby, toddler, or multiple children running around, it can be difficult to put aside some self care that you crave, want and need. Here at Lark, we have a handful of babes under the age of 3 which makes juggling life and time to ourselves our other full-time jobs! Finding that time can be challenging and might actually not be readily available. This requires us parents to be resourceful and scrappy with our time when it comes to exercise. We can tap into that creativity and think outside the box. Living a healthy, energetic lifestyle doesn’t have to mean spending hours at the gym each day. Go for a walk at least once a day: if your baby is just learning to walk, you can alternate the stroller and walking, or wear your baby; watch for landmarks, or animals, or anything you can think of to engage your child (and yourself) as you go. Wear leg weights if you want to take it up a notch. Dance party: We've been listening to a lot of Raffi and Caspar Babypants theses days, so don't be afraid to put it all out there for your little one by dance, dance, dancing away! Dance around the house to your favorite tunes; this is not only stress relieving and fantastic exercise, but a bonding experience. You may even pick up some new moves from your toddler! Work in the yard: It's that time of year where the leaves are falling and must be removed. Take your little ones outside to watch you work. Kids adore dirt, so let them dig and jump in the leaves while you do the more intensive labor. Plan active playdates for YOU: It is so important to keep an active activity to yourself to ensure all of your happy endorphins are being fulfilled. This is when you can hand your little one(s) off to your partner for and hour or two (or three) and get lost in you. 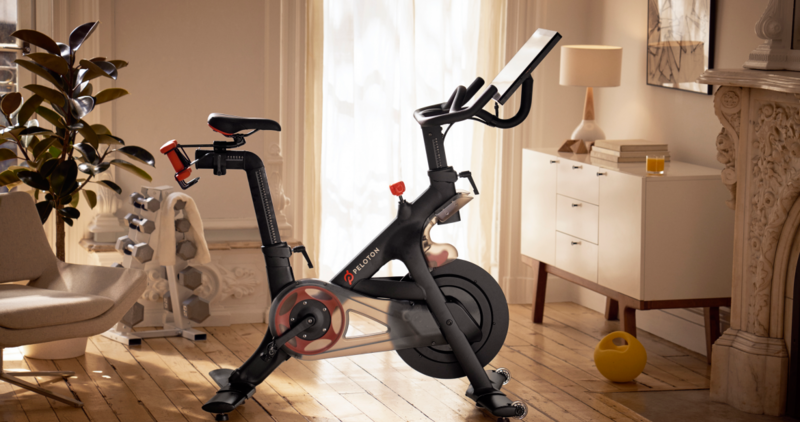 We are completely addicted to the Peloton here at Lark and use our friends who also have the life-changing bike in their lives to encourage us to keep up the hard work. The exercises are short and intense, which means you still have time to do other things within an hour! Use this "play" time to go swimming at your gym for some silence, hit some tennis balls like mama powerhouse, Serena Williams, or run outside for miles. Children emulate their parents, and we are inspired by our babies to be the best we can be. Showing our kids, from infancy on, how to be fit, strong, inventive and motivated, is a way of life that enriches the entire family. We hope you are inspired to find new and clever ways to get active with your little adventurers!